We are Developing Mobile Application on multiple platforms like Android, iOS and Cross Platform etc. Our team excels at ensuring 100% client satisfaction. We are making most useful and robust android and IOS applications, because we know how users are going on mobile to find information. Innovative and unparalleled user experience ensures that Apple devices and products are widely accepted by the masses. Mobile App Interface Design For a technology rich product, winning user acceptance is crucial. User acceptance depends on the usability of the product. Well, that is exactly where mobile interface design plays an important role. To present a technology pact product to users requires innovative UI design to make it acceptable to users. 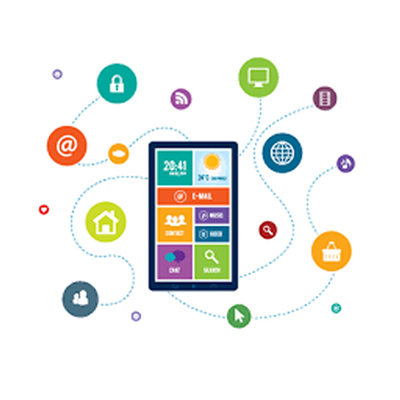 Customer interaction with your mobile applications is through your user interface. The user interface changes from device to device. It is distinctly different from desktops and laptops. When we develop a mobile phone UI design, we ensure that it is user friendly and provides the best user experience. Mobile apps and sites have unique UI design requirements because, compared to their desktop counterparts, they’re used in smaller screens and, at least with today’s modern mobile devices, rely on fingers instead of a keyboard and mouse as input mechanisms. In today’s rapid development world, almost all programming languages have frameworks to help the developers. With instant growth of mobile devices a lot of frameworks are also increased whether it be for Android, Windows or iOS. We are comfortable with the various frameworks to develop the mobile apps. Android is the greatest platform for mobile devices which has capability to run millions of mobile phones in about more than 200 countries. 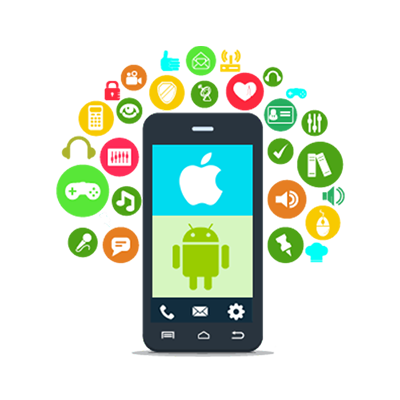 It not only provides a great support for people around world to use hundreds of games and apps in their phones but also provides a huge open marketplace to developers for Android App Development. Android provides one piece and distinctive framework which allows all Android developers to deploy their apps and developing them in order to make them available on many smartphones, tablet users. With a matured and secure operating system, Apple devices support a host of application development which can enhance the user experience, and help businesses to generate additional profits. We offer state-of-the-art iOS development services.Our iOS team is well versed in the development of customized mobile app, and has the ability to make optimum usage of C and APIs developed by Apple. Quality content and design are two critical components that can help your business succeed. Copyright © 2017-19 | NEKSS (P) LTD.